The ACCA and CIMA are chartered accountancy qualifications. 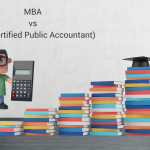 Those who have successfully completed these qualifications become chartered accountants. 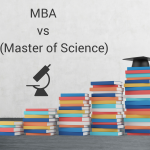 An MBA is a Master’s degree that is business orientated. On the other hand, an ACCA qualification is geared at undergraduate level and can often be achieved whilst studying for a BA or BSc. 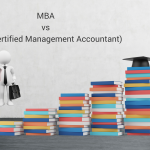 An MBA is more similar to the CIMA than the ACCA, as it looks at the business aspect as well as regular double-entry type accounting. The ACCA qualification is more oriented to public practice and is suitable for those who want to work in auditing or as a tax advisor. 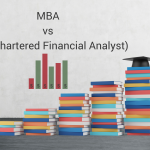 Although the MBA covers some similar ground to the chartered accountancy qualifications, it looks at business in a more theoretical manner and does not cover the technical areas that chartered accountants need to know such as taxation, company law, and accounting standards. It is a useful qualification for individuals who want to work as a business expert in firms, a manager or a management consultant. So, in conclusion, it depends on what you wish to do. If you want to be an accountant, then it is worth taking the ACCA exams. 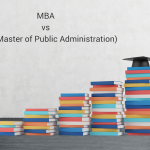 You can do an MBA afterwards if you wish to enter management.